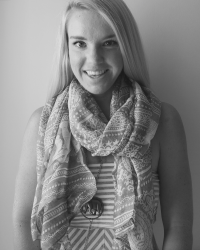 Katie Dillman is a Communications Coordinator with Premier Glow which is an online retailer of glow products. She enjoys working with businesses through copywriting to share ideas that connect with their audience. Wichita is a city steeped in history with breathtaking sights along the Arkansas River, throughout brick-lined Old Town, and everywhere in between. In a city with so much to see, what better way to explore than a picturesque run through the most stunning neighborhoods in Wichita? The races below are the most scenic in the city and are sure to show you a side of Wichita you&apos;ve never seen before. Explore historic Old Town in Wichita at the Old Town 10K. You will race along brick-lined streets between historic lampposts and buildings dating back to the mid-1800s. On this flat and fast course you will run through some of the oldest brickwork in the city, alongside the river, and through beautiful Riverside Park before coming back to Old Town. Every race finisher will be awarded with a medal and the top men and women in their age group will receive cash prizes. Old Town 10K&apos;s charity partner is the Shriners Hospital for Children and Midian Transportation Fund, providing medical care for over 90 years. Sponsored by the toll-free number meant to protect those in the area before beginning excavation, the Kansas 811 Run combines an 811 foot kid&apos;s race, a 1.5 mile walk, and an 8K all in one. Participants will have the chance to enjoy an evening run on a flat course along the beautiful Arkansas River, past the Arther B. Sim golf course, and by Wichita&apos;s beautiful Botanica Gardens. Top adult male and female finishers will receive a cash prize of $150, while age graded winners will take home $100. Winner of male and female age groups will be awarded a $50 prize. 2016&apos;s Kansas 811 Run will benefit the Kansas Food Bank, providing comprehensive and compassionate HungerCare whenever and wherever it&apos;s needed. Time: Kids Fun Run at 7 p.m., 1.5 mile walk at 7:15 p.m., 8K at 8:11 p.m.
A professionally chip-timed, all-ages run, the Labor Run 5K is an annual event that takes participants on a slightly hilly run through picturesque Sedgwick County Park past several beautiful lakes. Originally where the Osage and Wichita Indian tribes set up camp, this park is considered to be a historic site that saw such explorers as Francisco Coronado and Kit Carson. After the run participants will be invited to a delicious pancake feast hosted by Chris Cakes, included with registration. Medals will be awarded to the top finishers in several age categories, and the top male and female finishers overall will win something extra special. The Labor Run 5K benefits The Treehouse, serving hundreds of women in need in the Wichita area every year by providing parenting education, children&apos;s clothing, and more. Price: Children 6-12, $20; Adults, $30. Children under 5 are free. This popular race series offers something for every level of runner and boasts a beautiful and leisurely scenic course that runs along the Arkansas River through the heart of Wichita. The name holds symbolic meaning as the event was created four years ago as a means of raising support for the Via Christi Burn Center. The race hosted a spring set of races in May, however October is the big one, with a full marathon, half marathon, 5K, fun-run walk, and kid’s marathon. The Prairie Fire race series draws huge out of town crowds and as such has plenty of fun-filled events to accompany the run. From the pasta dinner the night before to free coffee and massages on race day, this day is all about fun, community, and giving back. Time: 7:30 a.m. to 12 p.m. 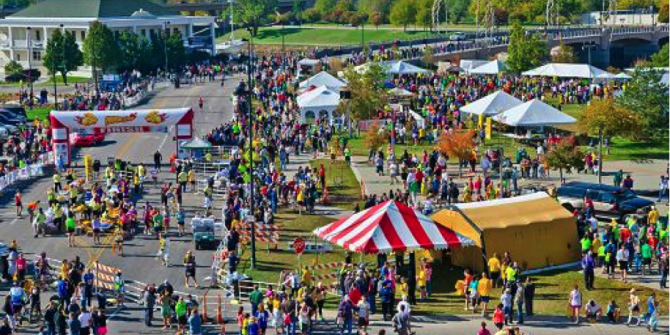 Considered one of the best 5Ks in all of Wichita, the Oktoberfest Run for the Poor takes you on a flat course through one of the most beautiful areas in the entire city. Beautiful architecture and massive trees line the streets of this stunning neighborhood as you&apos;re lead through scenic College Hill Park. The finish line drops you off right in the middle of a giant Oktoberfest celebration complete with a smörgåsbord of German food, cold beer, live music, rides for the kids, and so much more. All runners receive a brat and a beer (or soda if they&apos;re under 21) at the finish line as well as some additional gifts. The Oktoberfest 5K is chip-timed and winners will be given name recognition and a surprise award. Proceeds from this race benefit Guadalupe Clinic, Center of Hope, and Jr. St. Vincent dePaul. Price: $25 before September 1st, $30 after.